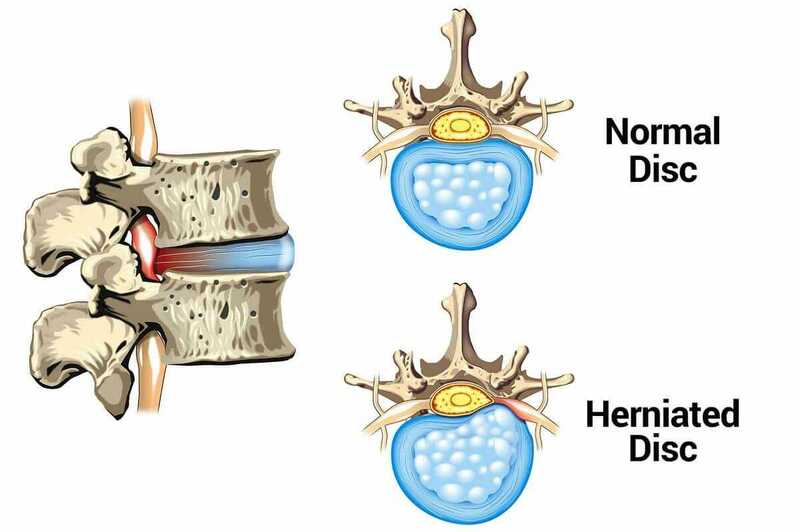 1 What is Degenerative Disc Disease ? Degenerative Disc Disease (DDD) (sometimes spelled Degenerative Disk Disease) is a major cause of back pain. 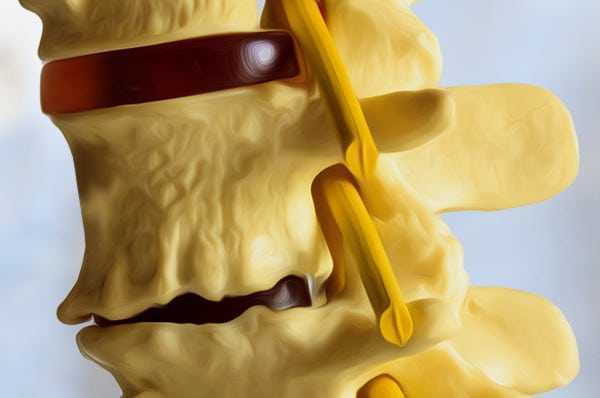 It is a particular type of spondylosis, where the protein and collagen structures, particularly in cartilage, gradually deteriorate with age. 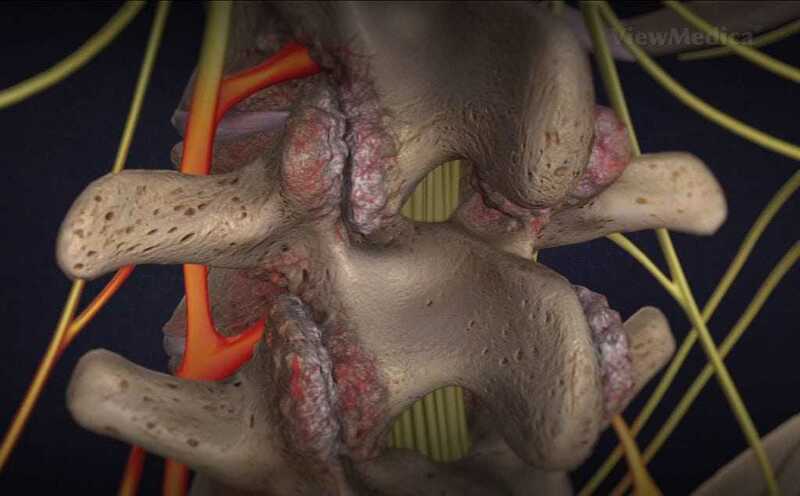 The intervertebral discs are affected by spondylosis, because there are more than 60 bands of collagen fibers called lamellae, which encase the water-filled nucleus. The weakening of these bands and the annulus fibrosis leads to water loss in the nucleus, loss of disc height, the reduction of distance between vertebrae, and the increased probability of a herniated disc. Estimations say that 30% of the people between 30 and 50 years of age have some loss of disc height due to Degenerative Disc Disease. In fact, in people over 60 years of age, Degenerative Disc Disease is considered normal. However, not all of these people will experience pain or need treatment. 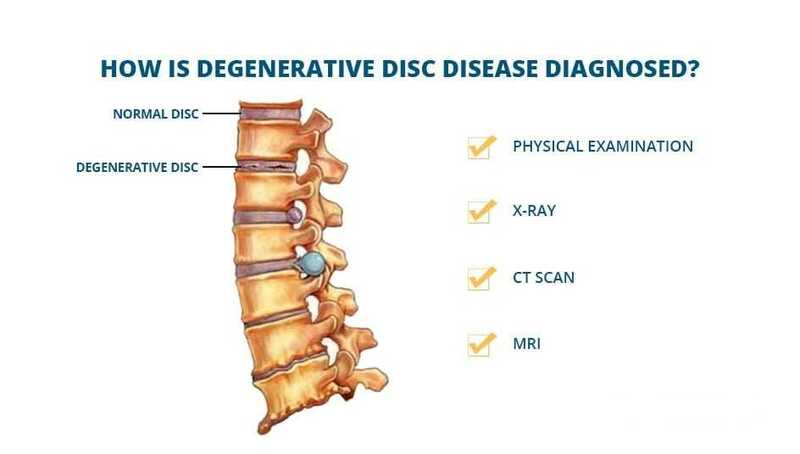 Because Degenerative Disc Disease can cause spinal stenosis, all the symptoms of spinal stenosis implicates Degenerative Disc Disease. 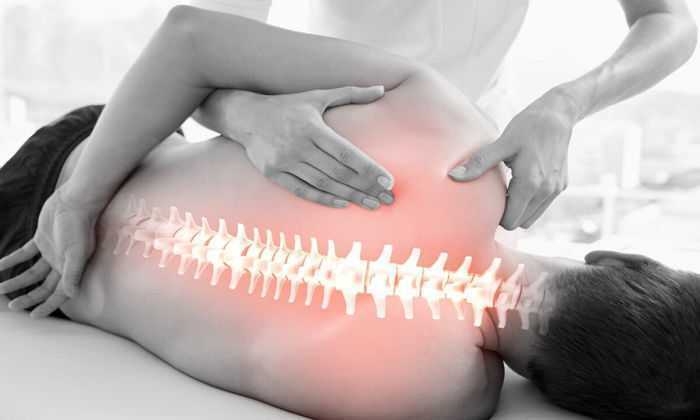 However, one must remember that Degenerative Disc Disease is not the only cause of spinal stenosis. If the patient reports discogenic pain i.e. pain originating from the disc, greater suspicion falls on a degenerated disc as the problem. Discogenic pain is limited to the lower back buttocks, thighs and groin for lumbar cases, and the back of the neck and head for cervical cases. The T2-weighted MRI, which is tuned for the hydrogen atoms found in water, shows what is called a “black” disc, when water is absent from the disc nucleaus, which is normally bright and white in a healthy disc. This absense of water in disc is the key indication of both cervical degenerative disc disease and lumbar degenerative disc disease. High contrast dye is injected into the suspect disc during the discogram. 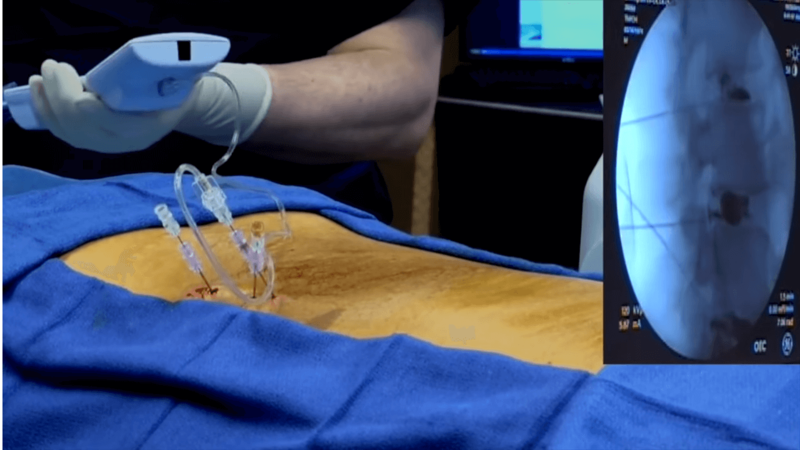 This dye is easily seen on a X-ray or fluoroscope and helps the doctors determine which disc(s) is involved in the patient’s pathology. This test will visually show the condition of the disc. However, the pain or lack of pain reported by the patient is a critical portion of the test. The appropriate surgical procedure properly executed will provide long term relief for the degenerated disc(s) treated. However, if the condition was allowed to continue too long and the nerves have become damaged, there may be some remaining pain or numbness or no improvement. Also, any degenerative process will likely continue, therefore problems in other areas of the spine may appear at a later time. 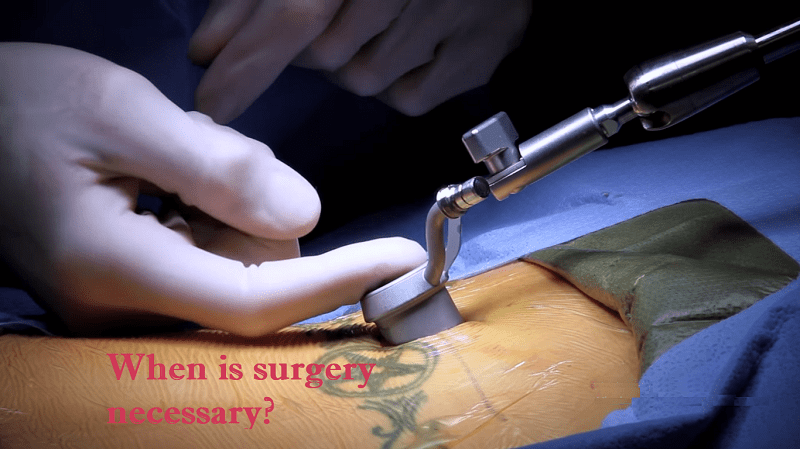 Lumbar Spinal Surgery….When To Have It ? Thanks for sharing excellent informations. Your web site is so cool. I am impressed by the details that you’ve on this site. It reveals how nicely you perceive this subject. Bookmarked this website page, will come back for extra articles. You, my pal, ROCK! I found just the information I already searched everywhere and just couldn’t come across. What an ideal site. Hello very nice site!! Man .. Beautiful .. Amazing .. I will bookmark your blog and take the feeds also…I am satisfied to search out a lot of helpful info right here within the post, we need develop extra strategies in this regard, thank you for sharing. . . . . .
nonetheless, you command get bought an shakiness over that you wish be delivering thhe following. You have touched some good factors here. Anny way keep up wrinting. the bravery to go ahead aand give you a shout out from Humble Tx! future. I want to encourage you to continue your great writing, have a nice morning! I surprise how much attempt you placfe to create such a great informative website. iis analyzing such things, therefore I am going tto tell her. A person essentially lend a hand tto make severely posts I might state. I surprised with the analysis you made to create tjis actual ppublish extraordinary. Hi there to every , as I am truly eager of reading this web site’s post to be updated regularly. Iseriously appreciate your technique of writing a blog. Hi! I just wantedd too ask if youu ever have any trouble with hackers? losing many months oof hard work due too no backup. Do you have any solutions to protect against hackers? Hello there, I do believfe your web site may be having browser compatibility problems. Whenever I take a look at your blog in Safari, it looks fine however, when opening in I.E., it’s got some overlapping issues. I merely wanted to give you a quick heads up! Asside from that, great website! An intriguing discussion is definitely worth comment. I do believe that you need to write more on this topic, it might not be a taboo subject but generally folks don’t talk about these topics. To the next! Many thanks!! you’re just too fantastic. I really like what you have received here, really like what you are stating and the way by which you say it.